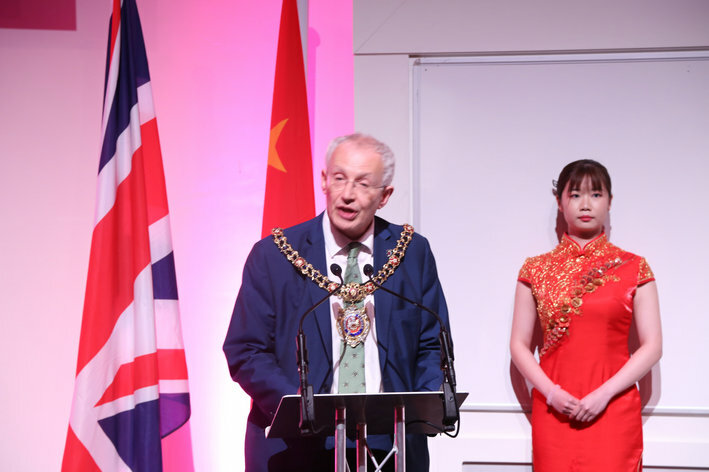 The Chinese Consulate General in Manchester held National Day Reception to celebrate the 68th anniversary of the founding of the People's Republic of China on Sep. 23rd, 2017,which was attended by over 350 people including Gerry Yeung, High Sheriff of Greater Manchester, Lord Mayor of Manchester Councillor Eddy Newman, Mayors of 8 other cities in the consular area, other Consuls-Generals in Manchester as well as representatives of local Chinese companies, Chinese community and Chinese students. During the past year, China has made gratifying progress on all fronts boasting rapid economic and social development. Its economy has registered a stable performance with good momentum for growth and its GDP growth outpaced most other economies, contributing more than 30 percent of global growth.In the mean time, China is stepping up its economic structural adjustment with new drivers of growth gaining strength and people's living standards improved continuously. 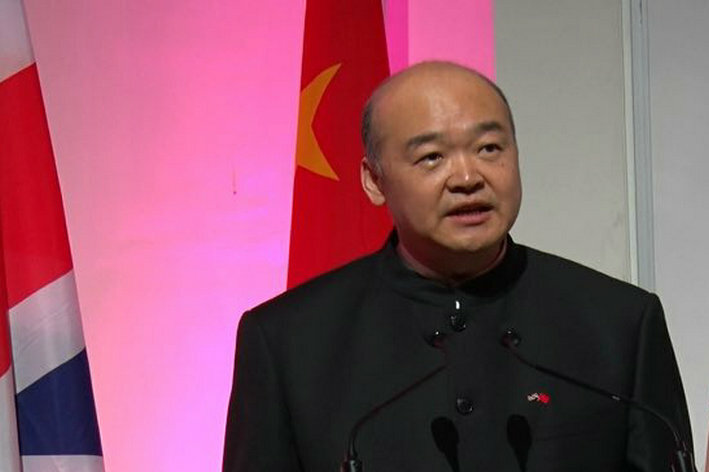 During the past year, China successfully hosted G20 Hangzhou Summit, 'Belt and Road'Forum for International Cooperation and the 9th BRICS Summit in Xiamen, translating China's solutions into global action, charting a course for world economy, injecting vigor into global economic growth and building platforms for international cooperation.Pursuing major country diplomacy of Chinese characteristics,China has left deep impression on global governance. This year marks the 45th anniversary of the diplomatic relationship between China and UK as well as the 20th anniversary of the return of Hong Kong to China. The opening of the 'Golden Era'of China-UK relations bears witness to the deepening integration of mutual interests, a wealth of mutually beneficial cooperation and closer people-to-people exchange which benefits both peoples in real terms. North England's link with China dates back centuries, evidenced by historical relics connected to the silk trade many centuries ago.The advancement of bilateral relations has spurred our Consular area to develop closer links with China and brought more and more Chinese investors, students and tourists to this area. We sincerely hope the north of England could take advantage of the opportunities presented by the 'Belt and Road' Initiative proposed by China for the benefit of local development. I wish our motherland more prosperous, my fellow countrymen happy and healthy. May China-UK friendship stay evergreen! Lord Mayor Cllr. 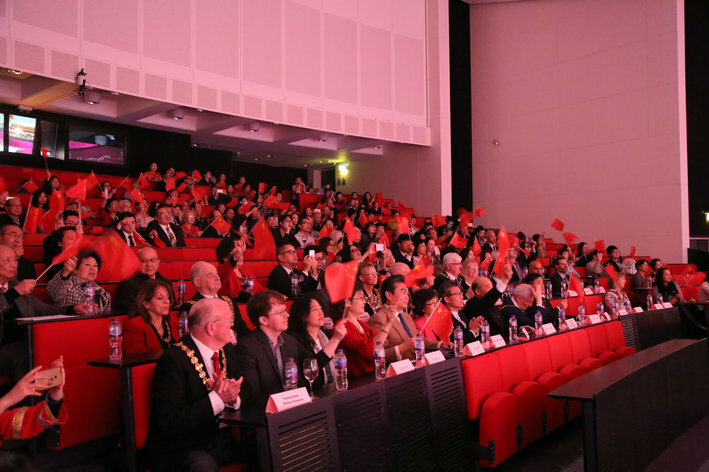 Newman of Manchester and President Zheng Hongye addressed the event respectively. During the Reception, videos on China's 'Belt and Road' Initiative, 'China's Troops', 'A Beautiful China----Hubei and Yunnan', "China's Mega Projects' were shown to the audience. 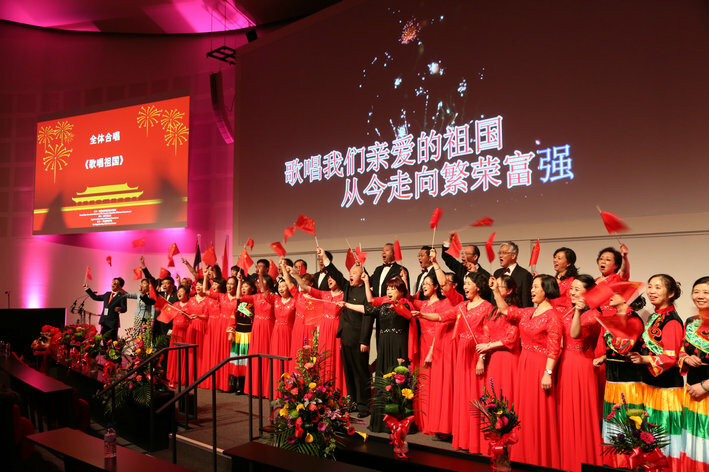 Consulate staff and local Chinese community also gave performances in celebration of China's National Day.